The nursery is finally getting cleaned up. 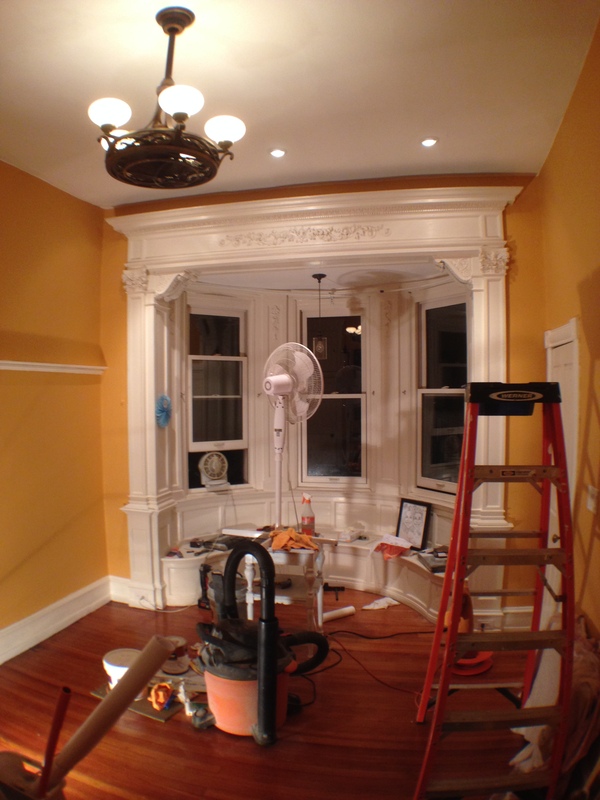 The walls on either side of the windows where we borrowed the picture molding are spackled, sanded, and painted. 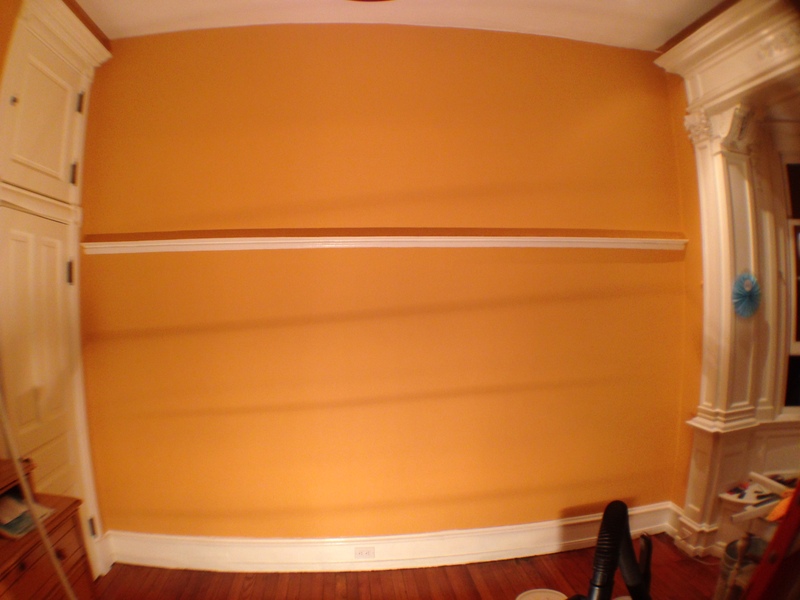 Luckily we still had some of the original paint so we did not have to repaint the whole wall, just touch-ups. (BTW, can you see the floor patch? 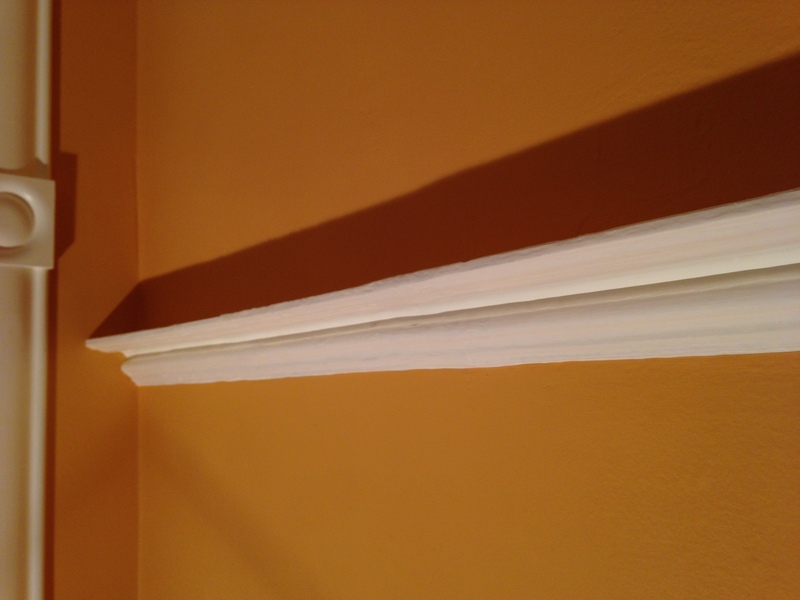 The picture molding got a nice fresh coat of paint, along with the wall around it. Can you see where we patched in the sections? Now on to the decor. I can’t wait to use the picture molding for actual pictures!